We’re not sure if you’ve noticed it too, but here at HotSpring World, we think going out on Valentine’s Day is a bit of a con. Just about every restaurant puts up its prices and because it’s so busy, you receive worse service in return. Bargain. As if that weren’t enough, many restaurants reduce their menus to a bare-bones à la carte offering, which might sound posh, but means you’re left with a choice of about three dishes. Who said romance was dead? We could go on to talk about the intense discomfort of sitting in a room surrounded by people who are desperately trying to look madly in love – but we should probably stop there. 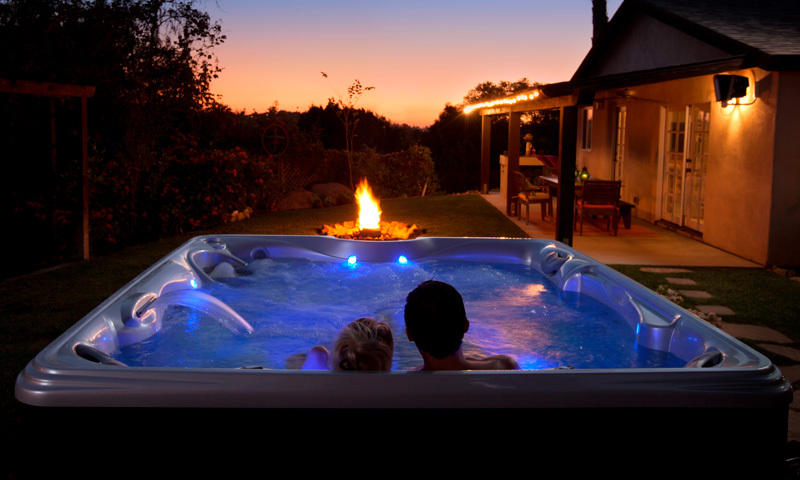 So, going out for the night is a no, but we think you can have a much more romantic evening at home, particularly if you have a hot tub! 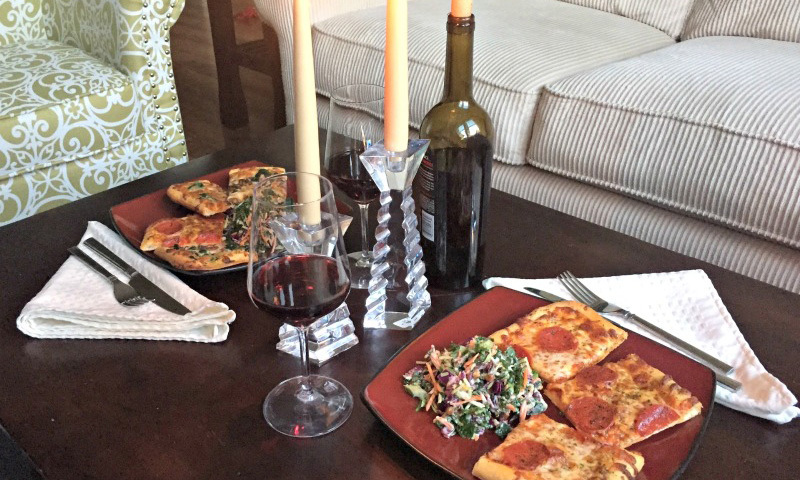 Here, to help set the mood, are our top 5 romantic ideas at home this Valentine’s Day. Now you’re talking. 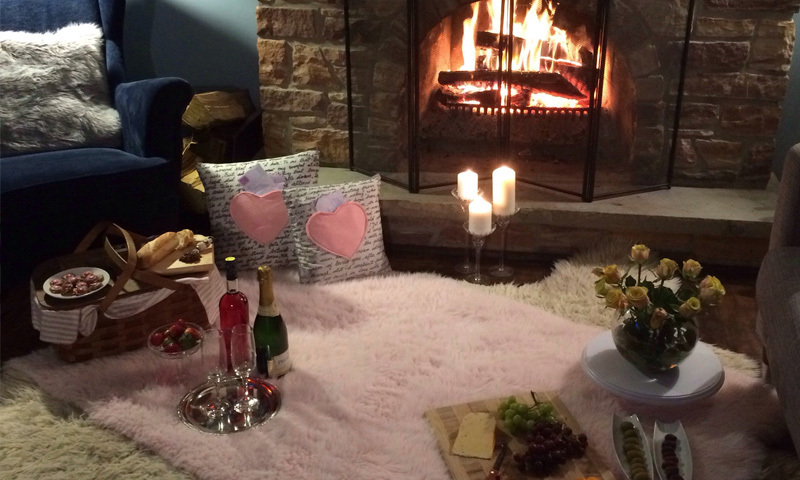 What better way to rekindle your spark than setting out the picnic blanket in front of a roaring fire, popping open the Champagne or Prosecco and enjoying a home-cooked Valentine’s Day meal. If you’d rather not cook, order food from your favourite takeaway, serve it elegantly on your best plates and enjoy. For bonus points, you could even drop a few pomegranate seeds into the Champagne to turn it pink. You can thank us later for that one. 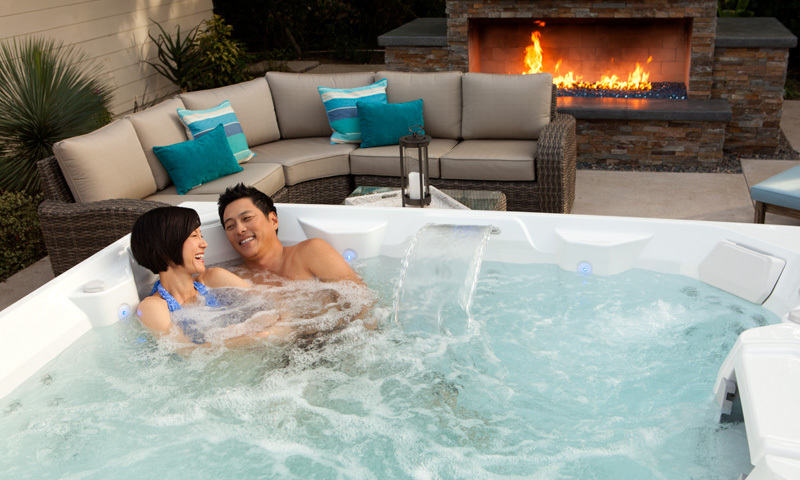 What better way to recover from a long, tiring day than with a hot tub date night? Light some candles, get your luxury robes at the ready and sink into the warm, welcoming waters of your spa. Add some Aromatherapy Spa Crystals into the water to fill the air with romantic scents. Your floating spa butler can bring the drinks to you, while the ice bucket will help to keep your bubbles chilled even if temperatures start to rise. If you find yourself struggling for more romantic hot tub ideas, you could always heat things up a bit with our stainless steel fire bowl. 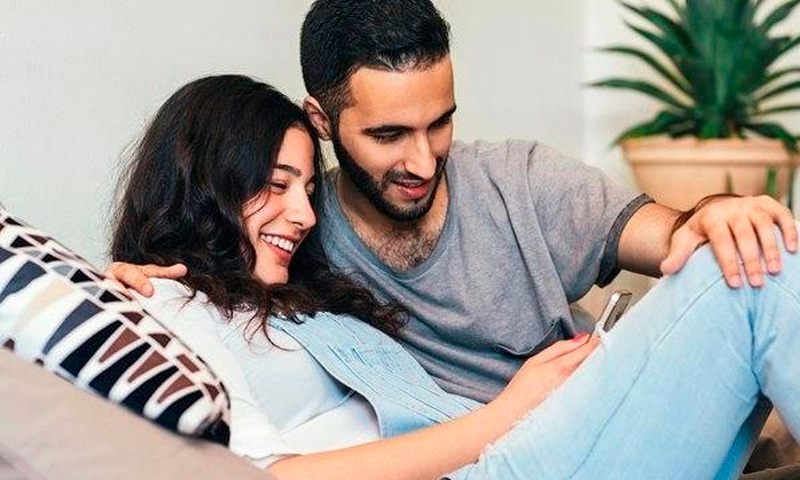 Relive the best holiday you’ve ever been on or prepare for a trip you’re planning soon with a themed date night at home. Dreaming of a romantic wine tour in Italy? Then create your own Tuscan wine tasting party complete with wonderful wines from the region and local meats, olives and cheeses. Want to relive your once-in-a-lifetime holiday to Japan? Then get the sushi, soy sauce and chopsticks at the ready, dig out those old photo albums and relive those memories all over again. Of all our romantic ideas at home, this is potentially the most divisive, but also incredibly fun. 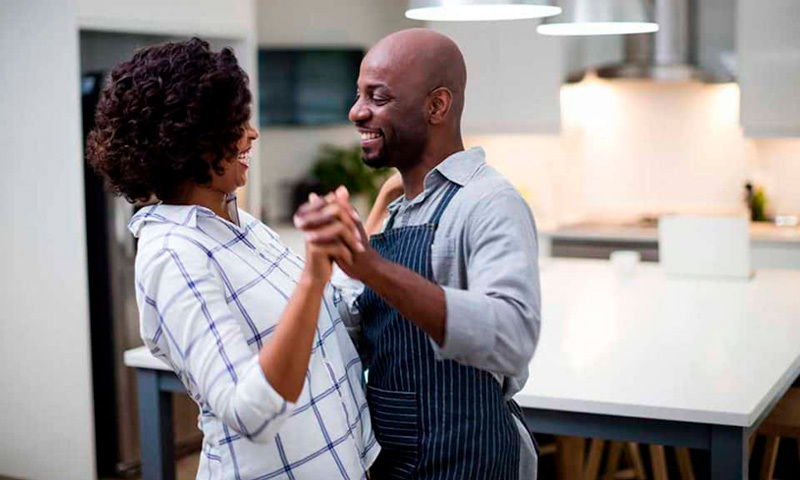 When was the last time you and your sweetheart went dancing? The beauty of throwing a few shapes at home is that no one can see you try. So create some space, fire up a YouTube tutorial for a simple Tango, Salsa or Rumba and get dancing. If you’re more of a maverick you could always freestyle, but we’d advise against if it’s a relatively new relationship! And passion and strength is renewed! Ready to surprise your partner this Valentine’s Day? We stock the UK’s leading range of luxury hot tubs, endless pools, accessories and more. Make it a Valentine’s Day to remember with the help of HotSpring World.